Peel Vets|Advice|Farm|What is Johne’s Disease and Why do I Need to Know? Johne’s disease causes chronic weight loss and wasting of cattle alongside chronic diarrhoea. It can also be seen in sheep and goats, but is most commonly encountered practically in cattle. Once introduced into a herd, eradicating the disease can be costly and may take a long time, even years. There is also some evidence that it may have a link to Crohn’s disease in people, but this is not certain. Johne’s disease is caused by Mycobacterium avium subspecies paratuberculosis, in other words, another member of the family of bacteria which causes TB. 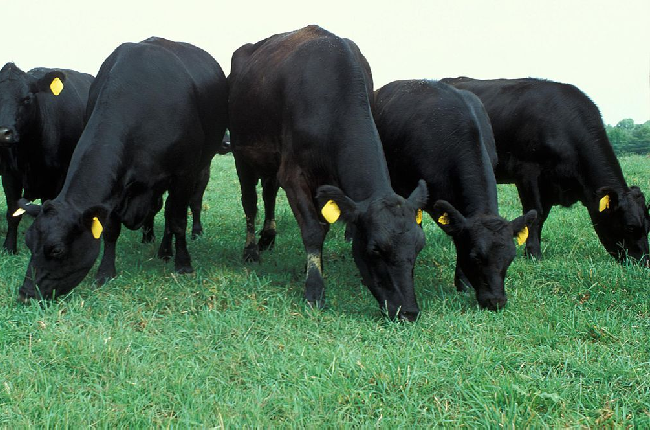 This is important because vaccination against Johne’s disease in cattle is controlled and requires a license, as it can interfere with TB testing. The disease can be spread from mother to calf during development in the uterus, by contamination of the dam’s teats by faeces and from contamination of feed/water with faeces. Johne’s is sometimes referred to as a “tip of the iceberg” disease. This is because the thin, scouring cattle typically associated with it are only a small proportion of the problems within the herd. Subclinical disease (disease that is not readily seen as the signs are not obvious) accounts for economic losses in a positive herd due to weight loss, reduced fertility and reduced milk yield. To make matters worse, infected animals may shed the bacterium in the faeces for over a year before signs develop. The incubation period is long and clinical signs are rarely seen before the age of 3-5 years old, sometimes a lot older. Another complicating factor is that there is no single test which is completely reliable, especially in those with early infection. The best screening tool is to take both blood and faecal samples and run these at the same time. There are several control strategies available and these will vary from farm to farm as set ups vary. However, it is safe to say that testing and rapid culling of infected animals is advisable alongside good biosecurity and purchasing from accredited herds. For more information about Johne’s disease, Johne’s accreditation or to discuss your herd, please contact us at the surgery.